Seriously I think I need to go nap for a week because my brain is about to EXPLODE. I decided to do a little website maintenance on Wednesday, as I was feeling productive and ready to take on 2014, which resulted in three days of my site being down and MANY TEARS OF FRUSTRATION. Today I took matters into my own hands (and then realized I was in over my head, and handed the project over to the professionals), resulting in many more tears of frustration, but eventually a working solution. Nothing has changed, besides my hosting. So hopefully we will NEVER. EVER. EVER have to see The Kitchen Paper down ever again! Fingers and toes and eyeballs crossed. Word to the wise: Don’t use the interwebs. Well, not really. Then you couldn’t hear me ramble! Let’s just leave it at this: I understand how people get frustrated at technology of all levels. If it’s over your head, wherever that level may be, it is THE WORST FEELING. I sincerely feel for anyone trying to learn a new technological skill. May the force be with you. Moving on from my web frustrations, let’s look at 2014! I have grand plans for TKP in 2014, despite the rough start, so I guess we’ll start catching up now. We’ll start with a simple recipe! I posted homemade cashew milk right after Thanksgiving, so it seems fitting to post another nutty milk right after this last batch of holidays. Have at it! I made plain (SO YUMMY!) and chocolate (… !!!). Both are crazy easy. I liked to use the chocolate (and the plain) in my coffee, when I wasn’t drinking it straight from a jar with a straw. Don’t judge. These things happen. I’ve yet to use the leftover pulp for anything, but I HEAR you can do cool stuff (like bake!) with it. Or you could just throw it in a smoothie. Ask the Google what to do. I’m sure she can tell you. Yes, I just gave Google a gender. 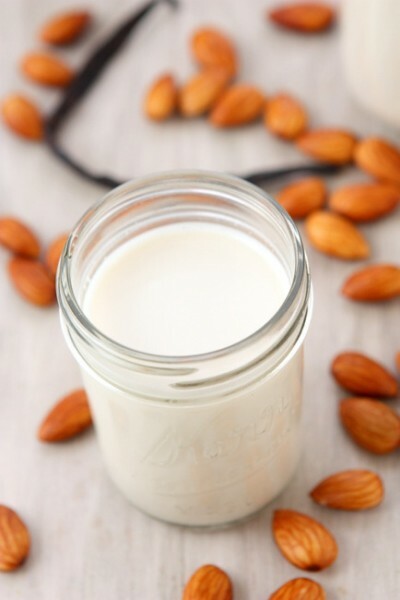 Make yourself some almond milk, pour a big ol’ glass of it, and toast to a wonderful year ahead of us! 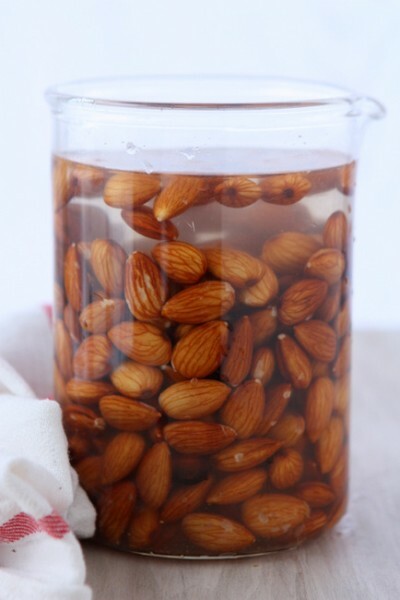 In a large container, cover the almonds and vanilla bean with water so there is 3″ above the last almond. Let sit overnight (or at least 6 hours). In the morning, drain the almonds and vanilla bean. Add them to a blender with 4 cups of clean water. Blend for 1 minute on high, or until completely smooth. Strain through a cheesecloth, squeezing as much liquid out of the pulp as you can. Set the pulp aside and google how to use it. Add a sweetener of your choice, to taste. 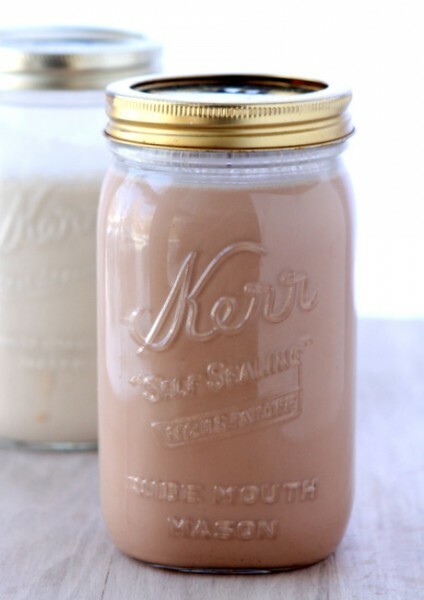 If making chocolate almond milk, add the cocoa powder (you’ll need more sweetener too) and blend again. DO NOT add the cocoa powder before straining! It will be far too difficult. Oh I adore this recipe!!! It’s so simple and beautious! But BUT BUT… The BEST part of this post is that you gave Google a gender. That’s just Awesome. Haha I am SO glad someone appreciated that!! Thanks, Tiffany! 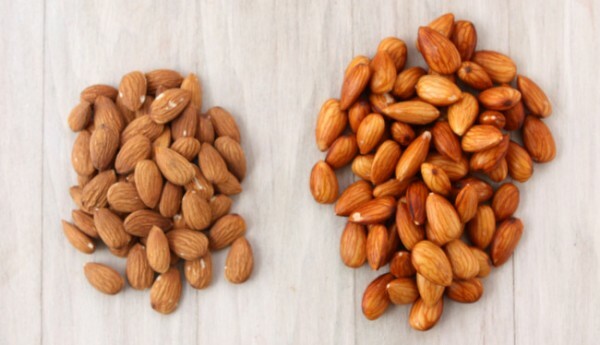 Do you blend the vanilla bean whole with the almonds?? Or scrape out the innards? Making this tonight!!! My bean was a bit old and dry (whoopsies!) 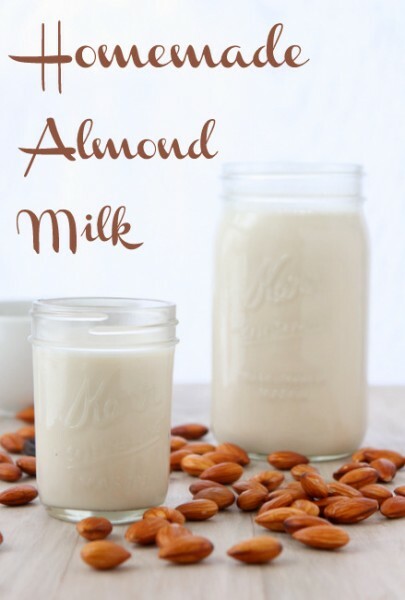 so I soaked it with the almonds and then blended the entire thing — but I really love vanilla! If you want a lighter vanilla flavor, I’d recommend just scraping one out. Have fun!! How easy!!! sound interesting!!! 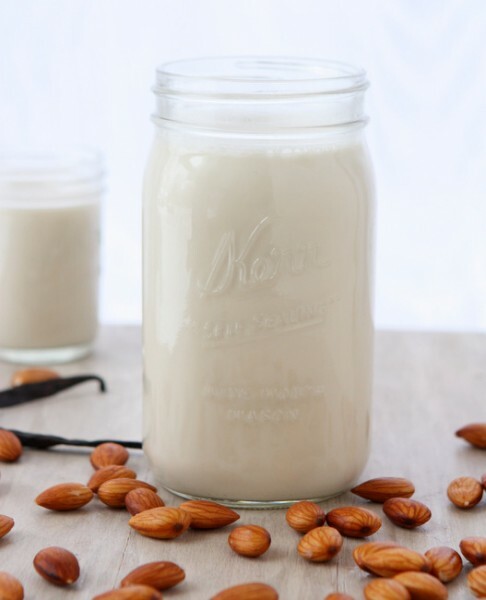 i love almond but may i know about calories of this almond milk per glass? Hi Pao! I don’t do calorie calculations for my recipes, but I’m sure google could help you out!